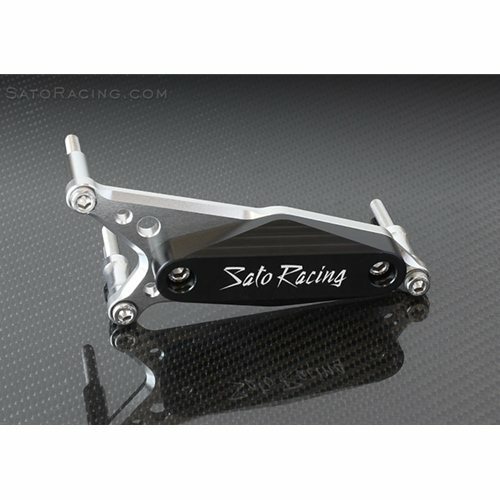 The Sato Racing Engine Slider for the mighty Suzuki GSX-1300R Hayabusa 1999-2016 features a slider puck made with tough, abrasion-resistant DELRIN nylon plastic, mounted to the engine case with an anodized billet aluminum bracket and spacers, with stainless steel bolts. 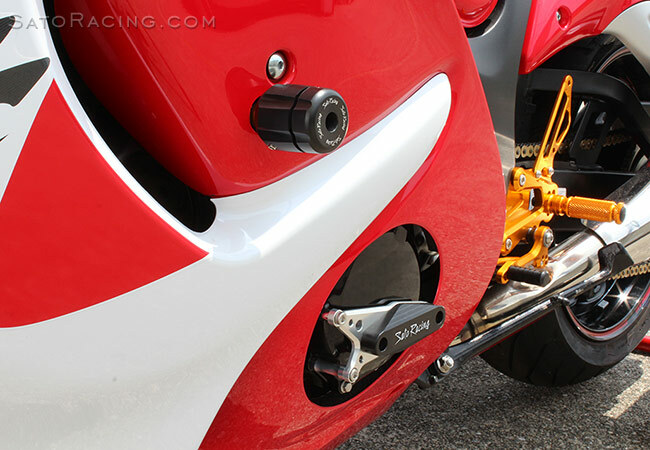 Our Engine Slider helps prevent damage of the exposed engine parts and lower fairings if you lay it down at speed on the street or track. Fits stock / OEM left side engine cover / stator / generator / alternator cover. Will not fit over aftermarket stator covers! Sample image below. Does not include frame slider or rear sets!